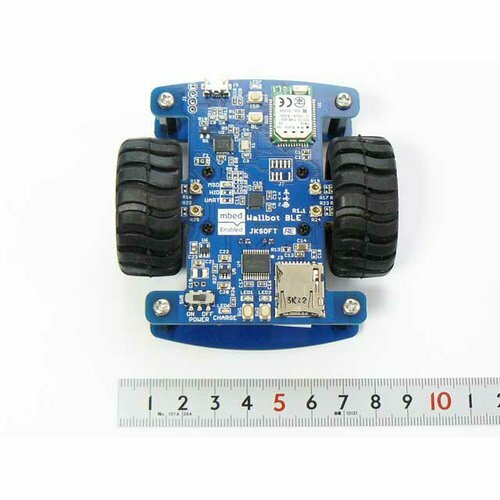 Wallbot BLE is an mbed enabled robotics kit which has 2 wheels and magnets underneath the boards. You can control this robot by an iOS App. This is a consignment product by Running Electronics. Please let me know if the shipping problem should occur. We do not advise the technical issue. Please learn on the above documents and solve the problem yourself.